As you might be aware, there is an enormously significant piece of legislation being considered for being considered in Israel: the Maale Adumim Annexation Law. It is a law with enormous national consequences. It would be the first step in annexing portions of Judea and Samaria. It would be a unilateral move with tremendous political ramifications. And, due to the new US administration, there may be a unique window of opportunity within which to do it. Some people believe that the national consequences of the Annexation Law would, overall, be very, very good; others believe that the national consequences would, overall, be very, very bad. Benny Kashriel is trying to limit Ma'ale Adumim's haredi community. I told the Prime Minister that if they don't want haredim in Ma'ale Adumim, we won't vote to annex Ma'ale Adumim. I will convince the other members of UTJ to also vote against the annexation." Can you believe it? For UTJ, whether they support or oppose the hugely significant question of whether to begin annexing portions of Judea and Samaria is only dependent on an issue of minuscule importance relating only to a tiny part of their community! Actually, I can believe it. Because we've seen this before, albeit on a smaller scale. One example was when Lag B'Omer fell out on motzai Shabbos. Having bonfires on motzai Shabbos would mean that there is a risk of people who are lax in their Shabbos observance making various preparations on Shabbos, as well as the emergency services having to get in place on Shabbos. As a result, it was proposed by various dati-leumi rabbanim that the bonfires should be delayed until Sunday night. As they pointed out, Chazal made a much more drastic move to safeguard Shabbos when they suspended the Torah commandment of blowing the Shofar on Rosh HaShanah due to the mere risk that someone would carry a shofar to an expert who will teach him how to blow it! Certainly a bonfire, which is not a mitzvah at all, should be delayed when it certainly causes chillul Shabbos. But this move was entirely ignored by the charedi community. Their primary reason appears to be that nobody in their community would be mechalel Shabbos, so why should they change their plans just because of people in the emergency services who aren't charedi? 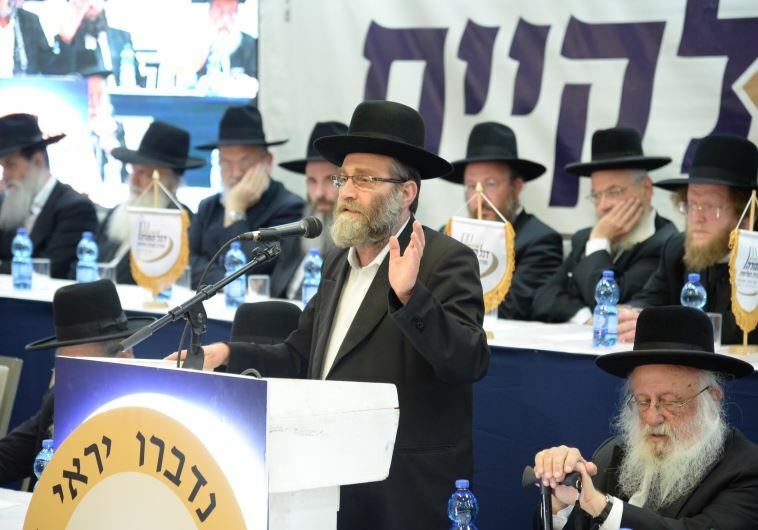 Another example was in the contrast in Beit Shemesh between the voting recommendations suggested by the dati-leumi rabbanim and the voting instructions ordered by the charedi rabbonim. In a post analyzing a number of differences between the two, I observed that the charedi rabbonim stress how Abutbol, and the charedi party, are the best for furthering charedi concerns and the interests of the charedi community, whereas the dati-leumi rabbanim write about how Cohen is the best for all the residents of the city, from charedi through non-religious. And then there's the disengagement from Gaza. Some people thought that it was a fabulous idea and supported it, others thought it was a terrible idea and opposed it. The charedi political parties, however, supported it simply in exchange for getting money for their yeshivos. I also have a problem with Gafni. Not with his protest for this school - that is legitimate. My problem is the hypocrisy. When a Haredi yeshiva high school (Chochmei Lev) was offered plots/buildings in different mixed neighborhoods of Jerusalem, but were pushed out by askanim and residents, Gafni did not go out and defend their rights to be present in those areas, because he opposed the institution. What is good for Gafni's goose was not good for his gander when it came to school she did not like in the same situation. Further, show me a Haredi town that is tolerant of other communities entering and joining and using resources? Do Beitar or Kiryat Sefer or Modiin Ilit allow dati leumi or secular communities to join and then fund their schools? 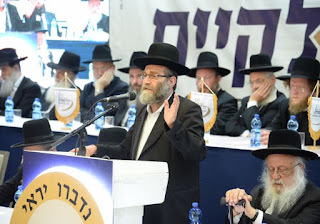 I agree with Gafni that the haredim in Maale Adumim should be funded like anybody else, but I'd like to see Gafni support opening up Haredi areas to others the same way he expects others to open up to Haredim. Still, I think that the most significant aspect of this is how Gafni openly and explicitly states that the enormous national consequences of the Annexation Law are, for UTJ, entirely irrelevant. All they care about it is their school. That is the consequence of a movement which is based on the philosophy of cutting themselves off from the rest of the nation. It's worth noting that one of the excuses Chareidim make is that they don't know what's best for Israel - they're not 'experts' in the matter - so they just vote based on issues they are knowledgeable about. Years ago, a close relative of mine was well along in the process of becoming Charedi and was justifying voting for Gimel. He told me that he's not a military expert so he can't choose between Left and Right, so he was just voting for Gimel because they best represent him on 'other' things. Think how despicable this is. Israel is in a position where every election has the potential to have a life-or-death impact on the country and its very existence. But in order to vote for their parochial and financial interests, Chareidim abdicate the obligation every voter has and just vote for people who will look out for their interests. We are not Klal Yisroel to them. We are the Poritz. We might as well be (non-Jewish) Polacks. "The charedi world, on the other hand, sees itself as a separate entity, and therefore doesn't care as much about the welfare of non-charedim, whether spiritual or physical." Volunteer organizations such as Hatzalah, Zaka, Ezrat Achim, various kupot tzedakah and gemachim, Bikur Cholim, Tomchei Shabbos, all serve the greater community and others are by and large run and staffed by Haredim. Your sweeping comment above is an unfair generalization. Your examples do not counter the statement you quoted. Yehuda Meshi-Zahav, founder of Zaka, is post-charedi. That may be so, but he certainly wasn't post-charedi when he founded Zaka. Zaka was born out of a very parochial interest, namely, making life tough for "frei" "Zionist" archaeologists. They then had an epiphany and started caring about the remains of Jews must more recently deceased. One may well argue that it was only a matter of time before they joined the mainstream. By the way, the State of Israel has a big welfare ministry, along with other ministries that take care of most of the things you mentioned. There was a fine, functioning Magen David Adom before Hatzalah (which isn't charedi in any event) came around. If anything, the existence of separate organizations staffed by charedim only is a sign of yet more separatism. oh- zaka and gmachim! I guess that just about takes care of it, no? This is how all small parties function. That's their mandate, to represent their narrow constituency. The politics of this means that when their vote is needed, they get to make their demands. It would be wrong of them to miss this opportunity and squander their political capital. It does not necessarily follow that they don't care about Klal Yisrael. I would say that there are several signs that a plurality of Chareidim do in fact see themselves as part of Klal Yisrael in general and the State of Israel in particular. First, Litzman (a full minister in this gov't - not a small thing right there), is clearly looking out for the health of all Israelis. Second, the organizations mentioned in other comments, that are either founded or run by Chareidim that serve all of Klal Yisrael, and not by default, lechatchila. Third, if you or any of your friends follow Kikar Shabbat, they are more patriotic than most news sites in Israel. Everyone has moved on since Gaza, the Chareidim have as well. Enough of them, anyway. And Gafni is asking for a relatively small benefit, nothing that would cause the deal to fail. So he does care. Please, enough. The purpose of this blog (and certainly the comments section) is to denigrate Chareidim. Your sober analysis does nothing to further that commitment. Wrong. The purpose of the commentators (and I hope I get this right when I speak for others. Presumably they will let me know if I'm wrong) is to speak freely on a matter that is important to them. Namely what on earth is happening to our cherished Judaism and how it is being dragged into the mud by one particularly unreasonable group who have a very irrational take on what it means to be Jewish. Finding forums and others to discuss this viewpoint is difficult, especially when expressing those views in public can carry a social cost due to the oppressive authoritative practiced of said groups members. Try bringing up at a shabbat table in a frum crowd that you think that Rabbi Godol X has really lost it this time and see what happens. Here on the comments thread the voices of ignorance can be called out (as they deserve to be) unlike in the real world where for reasons that escape me rabbis who are very frum but who say awful terrible things are given great respect, or communal behaviors which are shocking to the outside world are treated as holy cultural touchstones when practiced by frum people. 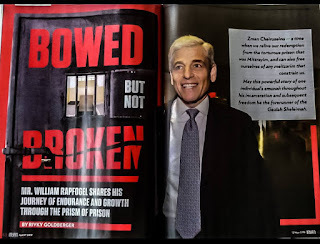 There are also those of us (me included) who believe and hope that by making our views known others who share them but might have kept quiet will be encouraged to find their voices especially when our comments are preceeded by the more balanced and well informed writings of Rabbi Slifkin. We write to support his social movement of bring Judaism back to its rationalist side and away from the crazy mystical side that has taken over and is destroying Judaism from the inside. In other words we hope the comments are a mechanism for change. I don't disagree with much of the tochen of what you write. And your intentions do seem pure. However, what aggravates me (and I believe many others) about this blog is (a) the complete lack of respect and even derision of recognized Talmidei Chachamim; and (b) the arrogance that accompanies its perceived moral high ground against this "mystical" bogeyman. I agree that many of the issues here are important to discuss and that many if not most who travel here have pure intentions and conduct themselves in a menchlich way. But there is often a tone - that R. Slifkin condones and sometimes even sets - of arrogance, condescension, scorn, derision, vilification, and, ultimately, hatred - that is counter to the goals that you set forth and are antithetical to the promotion and proliferation of Torah. May we all continue to seek the Truth and conduct ourselves in a manner that brings nachas to our Creator (assuming that bringing nachas to our Creator is a realistic goal and not some mumbo-jumbo concocted by mystical fanatics). Maybe I'm totally wrong, but....read the Prophets, Specifically the big three, and tell me, with a straight face and honest heart, that they were not condescending and intolerant of the evil behavior of the religious leaders of their day. First, thank you for your honest respectful response. I think the problem is a question of whom we consider worthy of respect and on what basis? You claim that on this blog there are those who deride Talmidei Chachamim. I say that there are is great respect shown on this blog for genuine Talmidei Chachamim, but great contempt for those who continue to hold views that are clearly disprovable and for those in leadership positions who continue to hold views that are not valid and do great societal damage as a result. The fact that a man may have attained great stature within a society for their ability to study Talmud does not, sadly, any more automatically engender respect. Why? Because unless that study comes great understanding of society and ability to positively impact society it is largely worthless. Worse, if as a result of that study the Talmud scholar is rendered unable to be relevant to society and perhaps even corrosive to society (as in the anti-vaxx rabbis, or the ones who promote poverty as a valid lifestyle choice, or army service avoidance, or racist views etc) then not only should we not give them respect, but we should . loudly and clearly condemn them as the filth that they are. And I mean that seriously, not as a polemical statement. It is neither scorn, nor derision or hatred. Rather it is a cold sober assessment of just how low Orthodox Judaism has fallen of late. Thankfully there are still some lights of hope - among them Rabbi Slifkin - who might, just might, be able to turn things around. It would be easier to save Judaism (and to retain kavod for genuine Talmidei Chachamim) if those Orthodox Jews who identify with the mainstream but who recognize the rot that has set in, would grow the courage to speak out. And I recognize how hard that is to do. But it needs to be done. Otherwise Torah Judaism will just sink further into religious nationalist goonery or mystical, fundamentalist isolationism. Neither are what, I think, God had in mind when he gave us the Torah. And that is the crux of the issue. Are we willing to subjugate ourselves to the Torah's value system? Or do we try and change Torah to fit with ourselves. Torah has more respect for Talmidei Chachomim than for social understanders. Some people feel social understanding is more important. That feeling may be natural, but just like the natural feelings of jealousy and anger, must be dealt with by someone who wants to live a Torah life. And almost by definition; someone whose authority relies on blind obedience is not worth following. And finally, Zichron, is your understanding of what a 'Torah value system' means really enough to induce you to follow someone who preaches such dangerous false troubling ideas? Mine doesn't. Nor does my conscience nor my reason. I disagree with Rafi G. A tragic phenomenon, which has repeated itself many times, is that as soon as any hareidi entity gains a foothold in a non-hareidi area, the goons begin to make demands that the entire area career to their demands. This happened in many neighbourhoods of Yerushalaim, as well as in RBS - whether by routing about the business or knocking on residents' doors and demanding that they sell their homes. Natan, you neglected to mention the cooperation of the hareidi MKs in the displacement of ten thousand Jews, their homes, communities and livelihood, almost 12 years ago. The hareidi MKs did not worry then about the removal of shuls, nor of the disintering of Jewish graves ( even as they protested the expansion of Barzilai hospital, which required moving graves which are NOT proven to be Jewish). All this was acceptable to the hareidi MKs , as they reduced large sums of money for their institutions from then prime Minister Sharon. The hypocrisy, insensitivity and greed of the hareidi MKs, coupled with the intolerance and violent takeovers of hareidi askanim, are the reason so many neighbourhoods and municipalities refuse to allow the hareidi public any foothold in their area. While, on personal level, I want to live in a mixed community which includes hareidi neighbours, I know that the very first hareidi family or institution to enter a mixed neighbourhood will be followed by demands that are geared towards taking over resources and draining the area of non-hareidi resources. Not according to the gemara, which says that it's better to live in the land in a city full of idolaters than in chu"l in a city full of Torah scholars. So, yeah, I would say their priorities are a bit screwed up. You do know that there are other religious people in Israel who aren't charedim and who manage both the religious and political ends of things quite well, right? In any event, our enemies deny us both religious and political based rights to the land. Even if they conceded the religious angle, I wouldn't really care. They don't, and I still don't. I just learned in the Daf Yomi tonight (Masechet Baba Kama) that agricultural development of Eretz Israel is of the HIGHEST priority. During the 1980's there was a big discussion in the DL world in Israel regarding "Is land more important or is the Am (nation) more important" (i.e. is peace more important than land). The answer is that without land there is NO LIFE. "The answer is that without land there is NO LIFE." Maybe. But Jews with an acute sense of their own history and Torah will also know that Jews are not entitled at all costs to dwell in the land indefinitely. That our own stupidities and arrogance can cause exile and that likewise chiloni Jews with a vision and moral strength can spark a return to the land that no religious Jew would ever have been able to achieve. Transparency and truth are great levellers. I don't see the issue. This is how the sausage making of representative democracy works everywhere in all times: horse trading. This is one of the least egregious case in that he's saying that if they are going to make the territory part of Israel, then his constituency should be able to participate equally. I do think that the Israeli government might function better with a first past the post system parliamentary system as is used in the UK. That would most likely reduce the number of parties and limit, to some small degree, the veto power of special interests. He's not saying that "if they are going to make the territory part of Israel, then his constituency should be able to participate equally." He's saying that if his constituency is not able to participate equally, then he will oppose making the territory part of Israel. A subtle but important difference. Because even without a charedi school in it, whether or not it becomes part of Israel has enormous ramifications for the nation. That's how politics works. He fully intends to support the annexation bill. However by putting up a credible threat of not doing so, he can serve his own parties interest at the same time. Kill two birds with one stone so to speak. I would add that (A implies B) implies (not B implies not A). Because even without a charedi school in it, whether or not it becomes part of Israel has enormous ramifications for the nation. Which is why it should be no big deal to put in a Charedi school. And if you hold it up because you don't want to put in a Charedi school, then you are the one putting the cart before the horse. It cuts both ways. To reveal my own biases, I doubt that annexation has much in the way of benefits to begin with. Internally, Israel already has complete control, and externally the move will not be recognized, and will only serve as a yet another grievance. Let the others fight over symbolism while we deal with substance. Annexing the land (or not) has importance. So does Maale Adummim preserving certain things. There's no reason Gafni has to be accommodated in some meaningless point when the people of Maale Adummim- who are citizens just as much if not more so- have real concerns. And a symbolic annexation can have real consequences for the better. What message you send can be important. Considering that the very next places to be annexed will almost certainly be two 100% charedi cities (Beitar Illit and Modiin Illit), they'll have more than enough chance to participate. Just not in Maale Adummim, which of course rankles them. It reminds one of some other people. "And if you hold it up because you don't want to put in a Charedi school, then you are the one putting the cart before the horse." It won't be held up for that. This kind of deal always works. Because for the rest of the country, national issues really are more important. "It won't be held up for that. This kind of deal always works. Because for the rest of the country, national issues really are more important." Exactly. So Gafni is not sacrificing the rest of the country in order to achieve his gains. He's just playing the politics game. The problem you identified in your post is the problem of all minority parties or umbrella parties for special interests. Eventually people get tired of hearing the problems of minorities, because they - the majority - have problems of their own. And people get sick of getting called "racist" or "anti-religion" or "anti-woman" or you name it, simply because they have other priorities to focus upon. After a point, which we already reached decades ago, the insults don't prick someone's conscious, they simply cause anger. And there are problems that EVERYONE is faced with, that adults have to tackle, rather than listening to the griping of specific sectors. So this is not something the Charedim are uniquely guilty of, nor is this problem limited even to the Israeli parliamentary system. It's everywhere. The Haredi parties - many essentially anti-zionist - will do what they want to do. They hold the balance of power. They know that to fulfil the PM's wish of maintaining power through this contradictory coalition they can demand whatever they want. It is the PM who has co-opted and facilitated their influence and allowed for hard-fought social rights to be diminished as a result. The history of anti-zionism and its intellectual development has not been explained sufficiently, both externally and internally. That is why they can be accused of things like this. Charedim do not believe Jewish autonomy in Israel has any intrinsic value. When the Zionists made their state, there was no option but to try horse trading with this 'gang of tthieves'that declared themselves the leaders. And that is how it has been ever since. There is lots more to the story, but in a nutshell that is it. While I largely dismiss modern Haredi anti-zionism as self-serving rather than a philosophy welded to genuinely held moral and theocratic beliefs, the opposite trend to elevate national(ist)-religious belief to a pillar of Jewish faith or a determinant of one's Judaism is a worrying one. Agreed. A pox on both their houses. Ah... to be a traditional Jewish prior to all these modern Jewish-flavored groups must have been so nice. "Charedim do not believe Jewish autonomy in Israel has any intrinsic value"? That certainly goes against what all the basic sources Judaism is based on, Torah, TANACH, Talmud, etc. Regarding the "gang of thieves" comment, well, some were some weren't. Of course, had religious Jews in the pre-state era taken a more positive view of the Zionist project to settle Eretz Israel, more religious Jews would have been saved from the Holocaust and there would have been stronger religious influence in the early years of the state. Fine, so you disagree. But Gafni is staying true to his beliefs by living with them. The issue was not 'religious influence', the issue was the whole concept. And the 'gang of thieves' point wasn't about their monetary policies. It was the moshol used at the time. Some people threw off the yoke of Torah, simultaneously claiming to talk for 'the Jews'. That was considered a theft and those forced to.live under the thieves had to figure out a way to deal with them. This is so full of generalizations and accusations that I thought I was reading about the "snowflakes" in the states crying because Trump won. Why can't you allow others to disagree with you and not feel the need to put them all into a monogamous group and bash them. I think you might mean "homogeneous," not "monogamous." It's Nov 22, 1963. A man is running down the main street of Hasidic Williamsburg yelling. "The President's been shot! The President's been shot!" A heimish lady opens a window, sticks her head and calls out, "Of which shul??" Something similar happened to me in 1981 when I was in elementary school. President Reagan was shot and when they announced in school that the Pesident was shot, my friend whose father was the president of the school thought that his father had been shot. We have no self interests. We are only for אם בחוקותי תלכו ונתתי שלום בארץ. The way to go is educating as many as possible in our way which is clean of idealist Zionism, a type of heresy. The more successful we are the more safe the country will be. The more successful we are the more we will have לב מלכים ושרים עלינו לטובה. The more successful we are the less important the army will be. We often follow the Rambam, but not about that the land was lost because we were militarily negligent. For us Shas and Medrash tell us how to protect the land. Typical Charedi. Quoting 6 words and skipping 30. The primary Brachot of this Parashah are providing for an agricultural paradise, but Charedim don't believe in physical labor. Hence, Charedim must not really care about these Brachot. Atypical non-Chareidi. Most non-Chareidim would notice that the Parsha talks about agricultural paradise but not about us being involved in physical labor. Right. Because in magical Charedi land (which isn't E"Y), fields and vineyards plant and harvest themselves. The Torah never says anything about non-Jews being our (willing) slaves. That's a Charedi conceit. Please review Ramban ad loc and Brachos 35b "ועמדו זרים" etc. and get back to us. We are students of the Chilonim. They got political control of the country and used it to spread secularism, even stooping to steal Yemenite babies. We learned this earlier in the European countries, where the early Chilonim operated the same way. As students we too get as much political power as possible to enable us to come as close as we can to אם בחוקותי תלכו ונתתי שלום בארץ. Did you also learn to risk your lives for the clal by serving in the army? "They got political control"? When the religious Chovevei Tzion tried to drum up interest in returning to Israel they were rebuffed by "the Gedolim". When the secular Zionists started to organize things, "the Gedolim" announced that they would have nothing to do with the project and that cooperation was heresy. So the Zionists built the new Yishuv without any help from the Chareidi community and the Chareidim criticized them at every turn about how non-religious things were. After the Holocaust the Chareidi survivors showed up in Israel and were shocked that everything was non-religious. It seems even then they simply assumed that the non-religious would look out for them and prepare things for them even as they refused to help at all. You want things to be more Torah based? HELP OUT! Religious people serve in combat units in numbers much higher than their percentage of the population, but there is no way they are the majority. Believe it or not, the vast majority of secular Israelis love their country and would risk their lives for it. @ GI, as you say the Chilonim got political control fair and square without shoving us aside. (They shoved us aside in other cases but not in this one because we weren't even there to be shoved.) We didn't participate in the creation of the state, as our authorities forbade it. Expo facto of the creation there was a split and most of them allowed political participation. (Rav Grozovsky and Rav Kanievsky wrote extensively about that.) We are students of the Chilonim in that where it is permitted we use the political process like they do. Where we don't "help out" that's because it's forbidden, even if that makes us "lose out". @ Farmdwannab, you are conflating the frum with the חרדים. Garnel, for all that they carry on, Charedim (Ashkenazi ones at least) have about zero interest in making Israel any more religious. @ Nachum, involvement in Lev L'achim, Arachim, and others doesn't amount to even 0.001% ? R' Slifkin, although I usual disagree with your posts (and even do disagree with much of this one) it has always irked me and driven me crazy that gimmel allowed the Geirush from Gush Katif to happen (I don't like the term "disengagement" because I feel like it is making it seem much better and nicer than it was and not focusing on the human element-- it was a geirush of Jews from their homes). Although I would vote for Gimmel and they do represent Chariedi Values (most of the time) this was a terrible moment for them. They have to realize both as Frum MK's but also just as frum Jews, stam, how terrible it is to throw Yidden out of their homes. you write "gimmel allowed the Geirush from Gush Katif to happen". i'm wondering in what way did they allow it to happen? they didn't vote for it in the knesset (if i remeber correctly, most voted against, 1 member obstained)and it garnered a majority without them. they weren't part of the gov't at the time (the nrp elected to join the gov't while excluding gimmel), so they couldn't withdraw from the coalition. so how exactly were they supposed to stop it? if they couldn't stop it, how can they be accused of "allowing it"? I believe there was a period in which they kept the Sharon govt. from falling (in return for funding) when NRP members left the govt. over the disengagement. But, seeing the disastrous results of the disengagement, I'm sure if we could do a replay of the Knesset vote, many who favored it then would be against it now. A major policy is not clear if good or bad, a truly political and intuitive decision that no one knows which way to choose. Something certainly good (Torah education) is possible by way of pushing to parlay support. What's the rationalist argument against a attaining a certain good against a debatable issue? Because per your statement above, the decision is monumental but not clear cut. As in America, the recent president is a major issue - yet no rational person actually knows either for good or bad what way that issue will go. The fault is in disingenuously deciding that the big issue, which impacts everyone, is too complicated, and doing this as a justification for focusing exclusively on the issue that matters to you personally. Just to illustrate, imagine you're in a locked room with two other people. Oxygen is running short and you need to make an educated decision as to which of two locked doors to focus your efforts on breaking open. There are arguments for both doors and the other two people are arguing over which door to work on. But there's also a single candy in the room. And you say that you don't care which door they work on and you also won't help working on it, you'll support whomever lets you have the candy. This is what we're dealing with. There are a group of neighbors who are dealing with increased crime. One considers that putting up a sign stating that there is a patrol up. Maybe it will deincentivize the criminals or maybe it will just egg them on further. One neighbor knows his limitations and isn't an expert - and frankly knows all the experts are also not so due to their track record. The neighbor has a child that needs oxygen because of a health issue. He asks for one of the extra canisters in return for supporting his friends position. The result of the decision is not clear, but there will be more life for his child. Torah does not equal candy. And a political annexation is not oxygen. No one is claiming without saying its annexed the state will Gd forbid die. Maale Adumim annexation is a purely political act that would not change anything on the ground. Israel is not going to give up Maale Adumim whether it is formally annexed or not. Therefore it is quite legit to link support of this political act to the benefits of his constituencies. By the way, Maale Adumim Rabbi called for annexation of entire Judea http://www.israelnationalnews.com/News/News.aspx/223768. When you have it drummed into your heads in Yeshiva that Odom is higher than Tzomeiach, Domem etc, and that Yisroel is the higher form of Odom, and that Chareidi Yeshiva learners are the highest form of Yisroel, what do you expect from Gafni and his ilk other than a bloated self-entitlement? This disdaining elitist attitude is all about me me me. I wonder if one could posit the following theory based on the phenomena you described. It seems there is a continuum of concern where the least religious groups are more concerned about others, including the general community, while the more religious you become, the more focused and narrow is your concern. Thus, for example, Reform Jews are least religious but are most concerned about Tikkun Olam. They are the ones who are involved in marches for Civil Rights, etc. The more religious you become, the narrower your focus on others becomes. The Charedi world represents the logical extreme of this where they are only focused on their own community and not even on the Orthodox Jewish world, to say nothing of the entire Jewish world or the world as a whole. Indeed, one could argue that the logical progression of this is that the Charedi is only concerned about himself and his Olam Habba which is why he sits in Beis Medrash all day and is not even concerned about the welfare of his own family. It is a sort of logical progression. The more intense your focus on religion, the narrower that focus is, until it becomes only a focus on oneself. What do you think? (1) Haredim supposedly only care about the Welfare State when they vote and that Israel is not as high a priority and that a Democratic President is preferable from that point of view. In the end this was not the case, Trump's strong pro-Israel stand clearly pulled a lot of Haredi support, in addition to his other views. (2) It was publicized that one of the Satmar Rebbes directly said to vote for Clinton yet in both Williamsburg and Kiryat Yoel, Trump won comfortable majorities. This means that in the privacy of the voting booth, the Satmar voters voted their conscience and did not view the Rebbe's endorsement as mandatory. How is this related to Rationalist Judaism? Because we see from this that, in the US at least, the rank-and-file Haredim are more independent and thinking critically than people give them credit for. Thus, even though the Rationalist Judaism view is not officially endorsed in those circles, rank-and-file Haredim might be much more open to it than might be first thought. The conclusion is that Rational Judaism needs to be continually developed and brought to the attention of as many Jews as possible, even in communities thought to be outside its frame of reference, with many members of those communities possibly being open to its message. When I first saw the headline I thought "interests" was a verb and "Trump" was a noun, so I struggled to figure out how "-Everything" fit in. Only after I started reading did I realize the article had nothing to do with the American president, and I had parsed the headline wrong.